Are you getting married in France? Have you decided on your venue yet? Does it involve hiring a marquee or a tent? Then this post is for you. 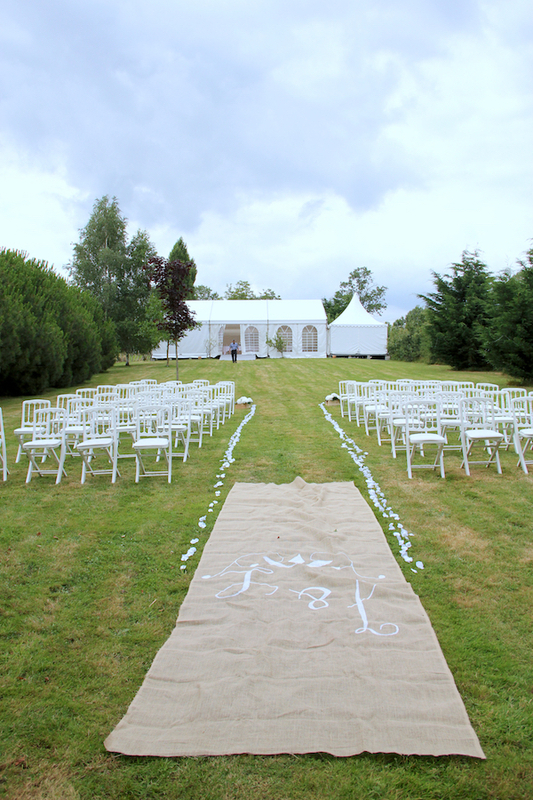 I will go through the main reasons why you may want or need an outdoor structure, what types are available in France and the key points to look for when having a marquee wedding. My story with marquee weddings started back in 2009 whilst I was attending a wedding planning training course by the UKAWP. I remember thinking “I will never do marquee weddings”. I felt the tasks and logistics required were titanic. I was not wrong on this. But a few months later I assisted a fellow colleague at one of her weddings. It was taking place at a private home with a marquee and everything else involved at such an event. At the time I found there was something special about it and it was an eye-opener so I decided to learn more. I attended a workshop run by Bernadette Chapman, an expert in the field of marquee weddings and what a good move! 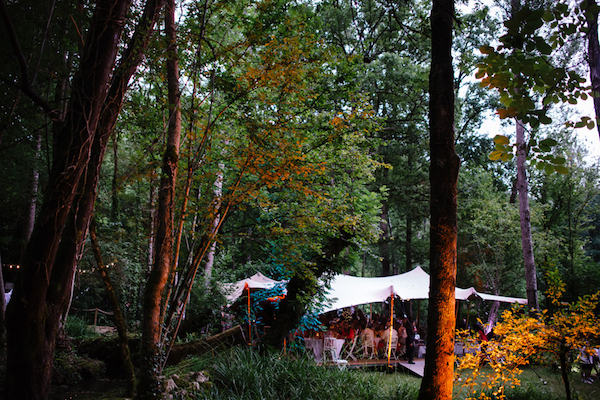 Most of my weddings in France are outdoor events at venues and private homes and a lot of them involve a marquee. And I love it! Why? Mainly for the liberty they offer, which overcomes the sometime complicated logistics involved. 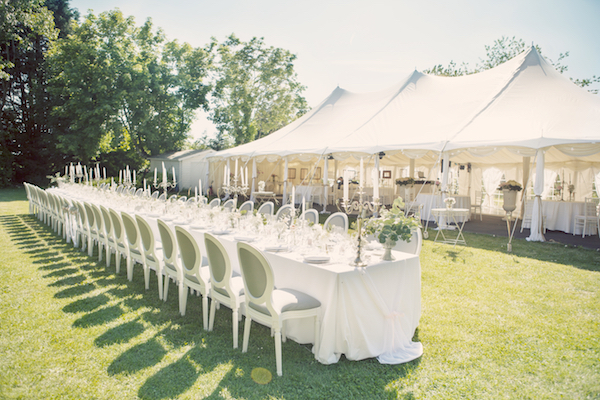 So why would you want a marquee or a tent for your French wedding? They provide shelter at outdoor weddings. Even in the South of France, the weather can turn for the worst and you may need protection from the rain or shade at certain times of the day. If your dream venue can only cater for 40 guests inside and you want to invite 100 guests, an external structure (if they allow it) is your solution. No need to rely on the indoor capacity of the wedding venue you have set your heart on. It provides a blank canvas for your wedding decoration. The sky is the limit as to how you can transform the space. Some structures are just beautiful as they stand or fit perfectly with the grounds they are set up on without requiring much more decorating e.g. bamboo tent, glass marquee, tipi. 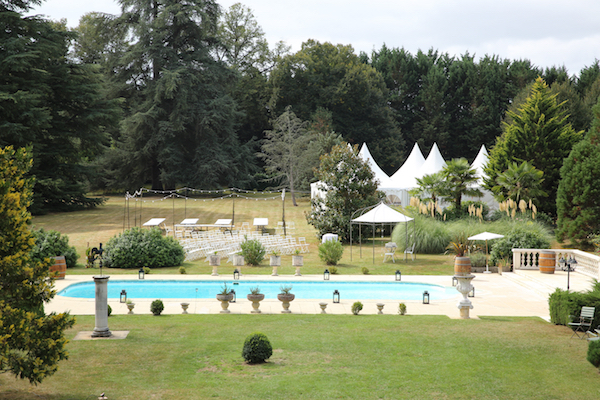 Marquee rentals in France: What to expect? The most common name for a marquee in French is ‘Chapiteau’. You can also come across ‘tente de reception’ or ‘barnum’. 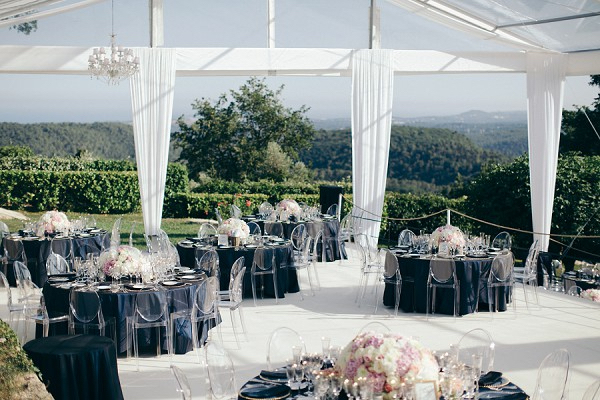 They usually define the basic ‘frame marquee’ type and when I first started as a destination wedding planner organising weddings in France, there was not a lot of options outside the Paris region and the French Riviera for more elaborate or trendy tents. I remember struggling to find a company to supply a bamboo tent for a wedding in Versailles. Now thankfully things have evolved and there are more choices available throughout the country. Although in remote regions or in the countryside, you will still have to work with companies further afield if you want an uncommon marquee shape. 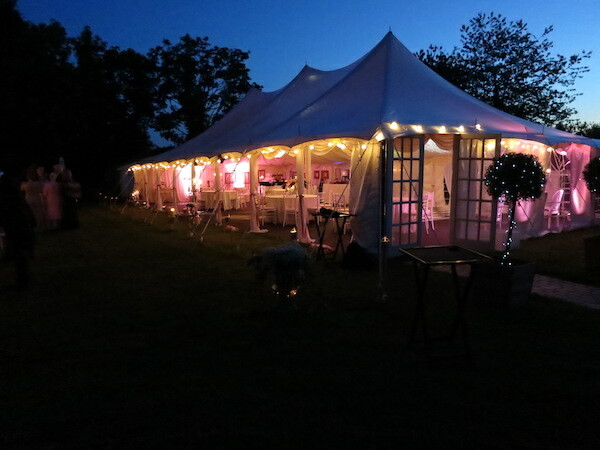 Pole marquee, a beautiful version of it being the petal tent or the ‘tente silhouette’ in French. Unlike the frame marquee they can’t be set up on hard surfaces, such as a tennis court or a terrace. As with most others listed below they are held in the ground by stakes. 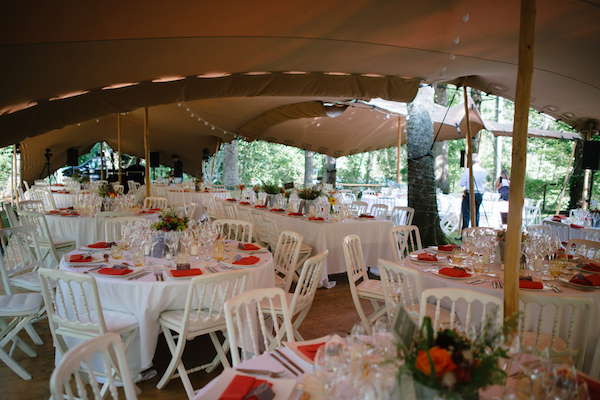 Stretch tent, in French ‘tente nomade’ sometimes referred to as ‘tente voile’ (sailcloth tent), a stunning structure versatile enough to accommodate more difficult set ups, in a wood for example. I like that it very elegantly can adjust to its surroundings. Although they are not suitable to use as a service tent (no walls, no modules) or to be aesthetically linked to a traditional structure. They are also partially opened (more or less depending on the effect required), so if protection against the rain or wind is highly required, they might not be ideal. 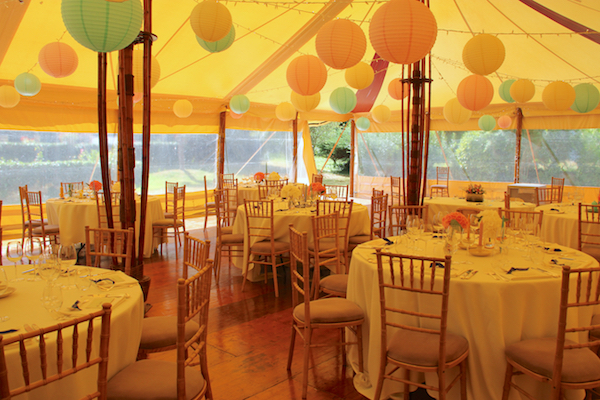 Bamboo tent, in French ‘chapiteau/tente bambou’, similar in shape and look to a pole or petal marquee with the difference being the poles in bamboo rather than metal which makes a very beautiful look inside. So much so that they can be left as such to display their natural beauty. Chinese hat tent, in French ‘tente pagode’. They come in modules so are fairly adaptable as various shapes can be designed to fit around existing features e.g. a swimming pool. Modules can be added to create various linked areas, included the catering space. With their pointy hats, they look pretty. Another version, more modern looking is called ‘tente tropézienne’, mainly seen in the South East region. Clear or glass marquee, in French ‘tente cristal’, is the transparent version of the frame marquee and a striking structure allowing you to feel outside without the inconvenience, embracing the beauty of your surroundings either it’s a Chateau or a sea view and dancing under the stars. Mind the hours of full sun though during the summer months, in particular in the Southern regions as it can become very hot under the clear roof. ‘Orangerie éphémère’, i.e. ephemeral orangery in English, is a new concept and a luxury version of the clear marquee, with an absolutely magnificent architecture, it’s an outstanding structure to hold a wedding. 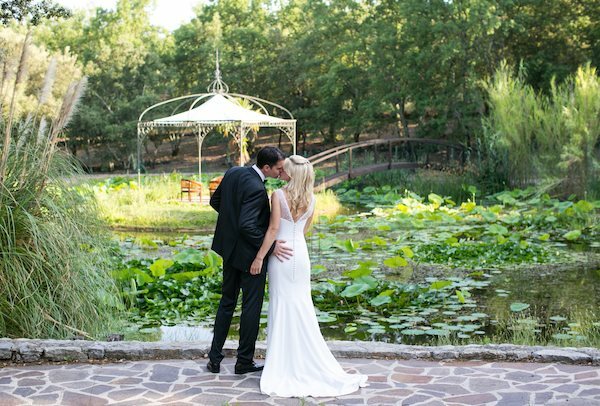 It is particularly suited to Chateau weddings as it complements beautifully this type of wedding venues. 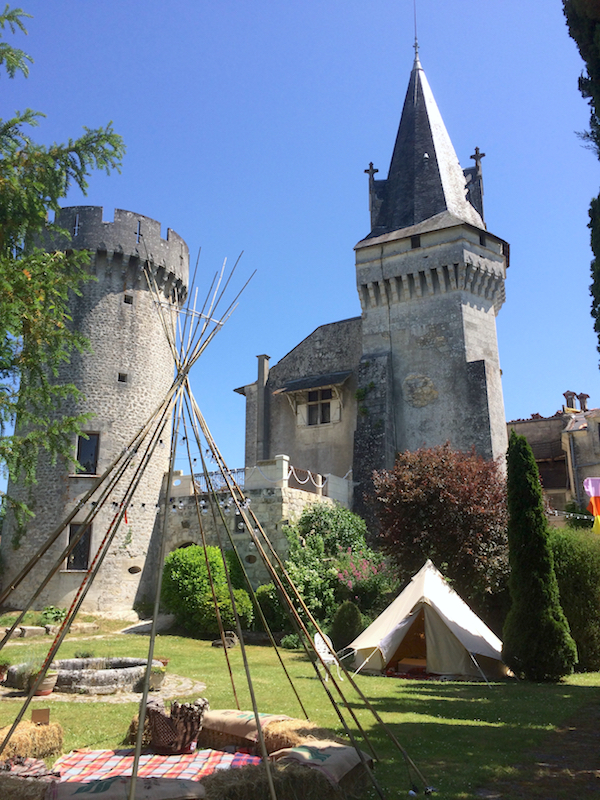 Big tipi, bell tent and yurt, in French ‘tipi géant’, ‘bivouac’, ‘yourte’, are also becoming popular choices for French weddings and some companies are specialised in these types of structures. 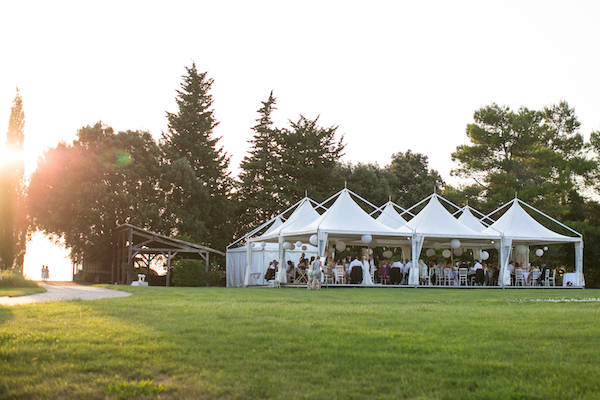 French marquee weddings: what to pay attention to if you have decided to use a marquee for your wedding. The type, which will best suit your style and wedding vision. As we have just seen marquees come in all sorts of shapes and styles. Your favourite choice should also be compatible with the location it will be set up on (private home, existing venue, field or other outdoor location etc. ), as not all types will work with every kind of venue. The budget – An estimate quote as early as possible is essential to help you confirm your choice. A visit of the site by the company chosen is absolutely mandatory to evaluate any potential issues related to the location and there could be plenty, e.g. access, type of ground, obstacle, space, distance to key elements such as electric and water points etc. All likely to have an impact on the actual cost and formal quote. It is also worth talking about your plans with your caterer to anticipate any complications and specific requirements that could affect the budget. 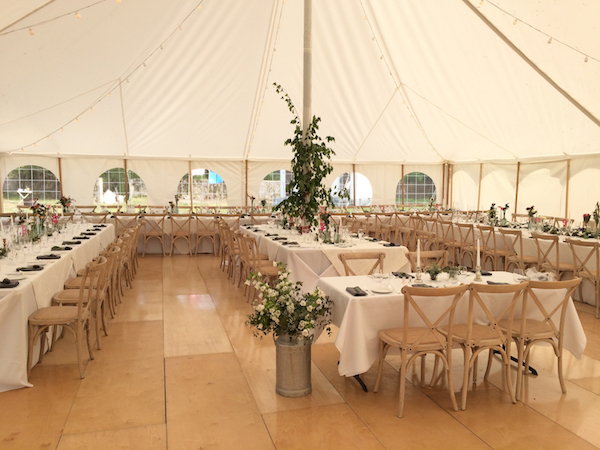 The time – The set up of a marquee wedding takes usually more time, and could stretch up over several days. For a Saturday wedding, the construction of the structure may well happen on a Tuesday. Then the other necessities (furniture delivery, toilets, decoration etc.) will have to be planned accordingly. This is to factor into your wedding schedule and must be checked with the venue owner before committing to anything with them or with the marquee company. The same applies to the breakdown. The weather- Rain, wind and storm are marquee’s main enemies. If it is of concern because of the region or the time of year, discussed the topic with your marquee rental company to be aware of the problems, which could arise and to anticipate the solutions. 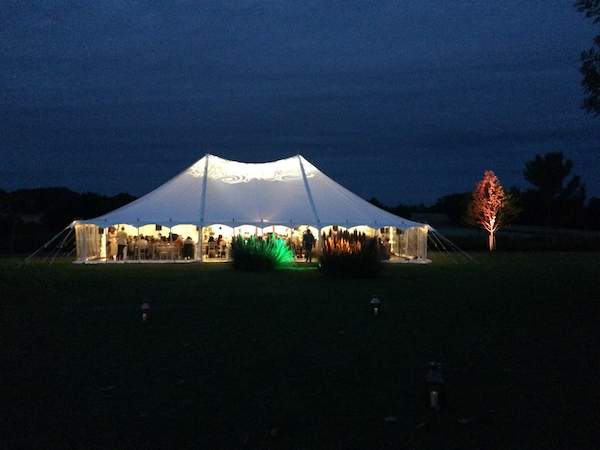 The marquee itself is often the ‘back up’ for an outdoor reception. Work plan B in advance (when to make the decision to use it, is there sufficient space to shelter everybody, what if the catering tent or toilets are not linked to the main marquee, who is implementing plan B). 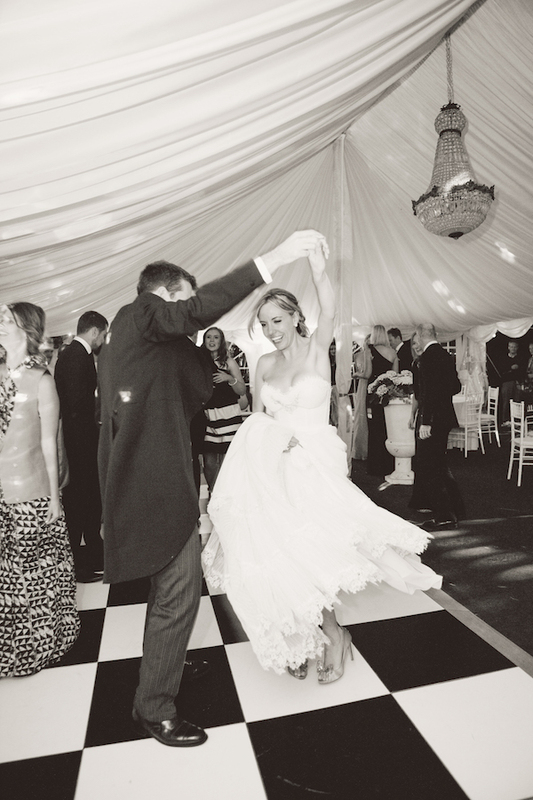 The organisation of a marquee wedding is not an easy task, especially for a destination wedding. On top of the difficulties related to the structure, you may have to deal with numerous suppliers, mostly French and with the French regulations. For these reasons, I would strongly recommend hiring a wedding planner, preferably somebody experienced in these kind of weddings, and with the capability to communicate efficiently with French suppliers. If not for the full planning, at least for managing the day and the weeks leading to it. After all, you deserve to enjoy your wedding and not to spend precious friend and family time worrying about logistics.